it's the most commonly given reason of all: musical differences. the first album was an unexpected success, the second sold on the strength of the first, but wasn't nearly as good, and the third all but proved the accusation that another one-hit wonder was passing before the ipod. then comes the press release, citing break up due to musical differences. admittedly, in some cases it takes a bit longer; the recent news that supergrass were to split for that very reason after 25 years in the business came as a bolt from the blue, as i thought they had given up a long time ago. however, having played in bands for many a long year, none of them ever even close to commercial success, musical differences seem less of a worrying concern than personal differences. sometimes two or more people just don't get on. it is, therefore, great tribute to both rapha and condor that their names have remained front and centre on those black, white and pink jerseys for so long, joined at the beginning of last year by electronics giant, sharp. now into their second year as the rapha condor sharp team, harmony seems a justifiable adjective to describe the outward appearance of three companies with quite possibly different requirements from their professional association. the original rapha condor team made play of the fact that, while being first across the line featured in their mindset, the most identifiable criteria was to race well and sportingly and be a sartorial credit to their first named sponsor. the bar has been raised a few notches since then, but that core idealism still exists. to quote rapha ceo, simon mottram "we started the team with condor cycles for two reasons: to bring a more accessible and inspiring look and spirit to uk racing, and; to show that we love the sport. i think the team has delivered on these two objectives really well"
you can doubtless all see the attraction of running a race team when the product that gave birth to the idea is heavily weighted towards celebration of cycling as 'the beautiful sport'. with the release yesterday of rapha's new pro team kit, do the riders fulfil the roles of competitors and product test-beds at the same time? rapha condor sharp rider and former british national champion, kristian house; " i wouldn't say its a sizeable part of the job, but yeah it's a part of it. a few of us on the team test out various bits of development clothing and give feedback after training or sometimes racing in it. rapha also welcome all the riders' input on the current kit already out there so that they can perhaps improve on it." the other long-term sponsor is, of course, condor cycles, purveyor of fine bicycles that bear their name, as well as one of the iconic london cycle shops. so presumably, as a highly competitive bike rider, they too are not averse to a bit of input? "condor get us to test out a fair bit of kit too. it's really cool to see things being produced that you had a part in. sharp haven't started asking me about tv development yet, although they have had us test out their plasma cluster (air purifier system) and give feedback on that". sometimes, looking on from the sidelines, it appears that some sponsors have their names on jerseys out of a sense of duty, or to consolidate their association with the sport in the public eye, rather than for any specific need or desire to gain any tangible return. however, considering the name condor appears in white on that black downtube, and considering kristian's answer above, presumably condor have very good reason to be involved, but is it for commercial exposure or product development or both? condor's claire beaumont: "both in equal measure. 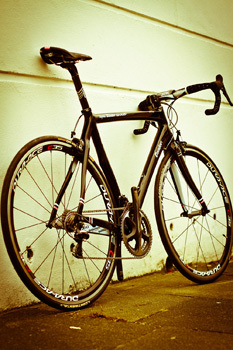 our flagship leggero is a hand-made, full carbon frame. despite our 60 years of heritage, we do still have to show that our frames will stand up to abuse, be smooth and remind the rider of Êthe reason of why they cycle in the first place. in times of economic downturn, those looking for a performance bike, for whatever use, need to know that they can rely on that frame. "the team push the frames to their limit, riding them in both criteriums and stage races. they are the first port of call when we want to make an adjustment or look to further improve the frame. in may last year, after some initial testing, we asked dan craven to race a steel race bike - the first with a tapered head tube - to see how it felt and how it reacted to his power." but the important third piece of lego in this sponsorship triumvirate is sharp electronics, whose financial input no doubt eases the strain of operating a high-level race programme, but who have no 'real' connection with cycling at all, other than we might watch eurosport on their television sets from time to time. so how pleased are they with the association with rapha and condor after one year? 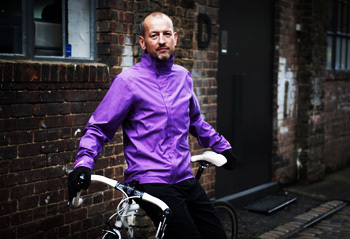 sharp uk managing director, paul molyneux "the first year was a real learning curve for us, not having been in the cycling world on a regular daily basis. there have been elements which have exceded expectation; the support and fantastic relationship with the other sponsors, riders and management of the team, the openness and willingness of the cycling world to create commercial opportunities, the ease of communication in what is essentially a small community, the tour series, and the interest of staff within the company. "there have also been elements that have given us some future food for thought. it is important for us to have our own identity within the cycling world, where we need to have the ability to communicate to the people involved, especially the fans; there are long parts of the season without significant exposure especially if the team finds it tough going at the tour of britain." with sharp's sponsorship continuing through to at least the end of the 2011 season, are there plans to try anything differently this year, based on that steep learning curve that imposed itself on the 2010 season? "the second year plans are to try and address some of the elements detailed above and really give sharp an identity within the world of cycling, which we remain committed to." though it's stating the obvious to point out, yet again, that sharp are not in any way related to the world of bicycles, accessories or clothing, surely their assessment of the success of this venture is likely, of necessity, to be more closely associated to that of the number at the bottom of the spreadsheet. in fact, how do they quantify if their sponsorship is working or not? "it's difficult to absolutely quantify the success in year one, as we definitely have not leveraged the relationship as well as we could. there are some hard measures around media exposure and some softer measures around the impact on brand awareness and positive association with a growing sport. "there is, however, no doubt it is having a positive impact on our employees, with five sharp riders taking part in the gran corsa ride this summer." both condor and sharp have been reasonably clear on their reasons for being two thirds of the team's name, but as cyclists, we know most about the team from persistent or infrequent trips to the rapha website, or from a constant and welcome barrage of e-mails originating in perren street. how does simon mottram gauge whether to quantify the team's success as a commercial proposition or sporting prowess. or is it yet again, a case of both being seen as equal? "more sporting than commercial. of course, we sell a lot of kit and that is great, but it in no way covers the significant budget that rapha has to put aside each year for the team. "it's about having an impact on the sport. some of that comes through racing, which the team has been exceptionally good at in the last two years. but it's also about how the team races and behaves. our riders have been perfect role models for rapha; interesting and articulate as well as winners in races. we always seem to get the most cheers and the most visibility at races, win or lose. that's the acid test for me." with regard to condor cycles, does having a team at least partially named after the brand provide a return on investment that they are happy with? condor cycles' brand manager, claire beaumont again: "you can't sponsor a team without incurring expense to run it and promote what they do. the team has an identity which some of the domestic teams don't have; that's why the riders' and the team's following continues to grow. "we can't quantify the effectiveness the team has on the business, and if we did, based solely on numbers, then we'd lose the romance and passion of racing, the excitement of seeing one of our riders cross the line, and the joy that watching a race can bring to the team's fans. we use qualitative feedback a little bit more, listening to what our customers say and why they came into the store. not every customer comes in and buys a team issue leggero, but they hopefully understand that all of our bicycles are built to the same high standard and that the technology is passed through the range." however, while the riders of any race team welcome the financial and product input of their sponsors, given that it provides them with a living doing something they enjoy, there is always the remote possibility that the horse turns into a camel if run by committee. therefore, to amalgamate the necessities of the day to day running into one role, to assemble the team and direct the seasons' race programmes, it is necessary to designate a directeur sportif. in the case of rapha condor sharp, that role has been filled by the same man since day one: john herety. 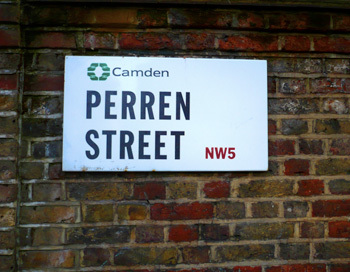 could his long-service record be ascribed to finding this a comfortable place to be? "in terms of running a uci continental team i have three of the best sponsors i could wish for. each of the three companies involved have supported me in all aspects of the team's progress. does that make it a comfortable place to be? in short that's not difficult to answer, it's as comfortable as any job that relies solely on sports sponsorship." his own perpetuity notwithstanding, the team does seem to have a notably low turnover of staff, so to speak. is this because john is such a nice guy to work with? "you'd have to ask them that. i'd like to think i run an organised outfit and at this level of the sport, you certainly don't do it for the money; it's a lifestyle choice. so running a tight and organised team helps to keep people happy. there's no surer way of losing staff or riders by making promises you can't keep. if anything, i'll always promise less and aim to give more." since john said we should ask, it seemed impertinent not to. having been around for almost as long, how does kristian house find the team's personal aspect. do they get on well? "i think we all get on well personally. john does a great job of getting a group of guys together that mix well. he asks our opinions on riders, and i think that's important to help getting that mix right. don't get me wrong, we all have our moments where we're at each other, but i think that's what makes a team gel. too many times people bottle it up and it comes out in ways that aren't productive." john herety has worked with both rapha and condor since the beginning and doubtless knows their quirks and foibles, as they perhaps, if he has any, know his. and as i have relentlessly pointed out, both were totally committed to the sphere of cycling from the outset. has the arrival of sharp brought tangible benefits to the team other than easing the cash flow? "yes, they have helped in making us more professional in our approach, they really brought home the need for tv exposure to fulfil their expectations of sports sponsorship. that made us have very clear goals in terms of races we had to do well in. it has forced us to be very focused in our race program which i have found to be a good thing; something i think we needed." he who pays the piper often calls the tune. in this case does herety have carte blanche when it comes to signing new riders, always assuming they're available in the first place? "pretty much yes. however i always involve the sponsors in my thought process on who to sign. rider acquisition for me will always be driven by balancing the desires and needs of fulfilling the sponsors' wishes in terms of racing program, along with team compatibility and of course the big one; budget !" there is piper remuneration at several levels across any sport; cycling is no different in this respect. does this degree of freedom exercise itself when it reaches the riders? does kristian have a substantial say in his own race programme? "id like to think I've got a fair bit! again, john's a great manager, and if you want to do something or don't want to do something, he'll generally listen. i've known him for years, and he knows the type of rider i am, so if i say something about a race, he'll generally take it on board." with this in mind, and considering he has already achieved status as british national champion, are there any goals still to be achieved on the bike? "yeah, to win it again. "we've got a brilliant program this season. normandy and japan are the ones on my mind right now." with that 2011 programme only just underway, does john herety feel that, to this point, that his objectives have been met through the team's results? after all, it's his head that is ultimately on the 'chopping block'. "yes and no, but i think it's more to do with available talent. i would loved to have been able to move some riders on to a pro tour or good pro continental teams. this, however, would have required us to have had more u23s. the reality is they are just not there yet. once (british cycling's) world class have taken their group of u23s there is not enough depth of talent at that age to take on riders who have the desire to prove the system was was wrong. in terms of pure racing results, you always think you could have done better. however one of our biggest objectives has always been to connect with our fans and our sponsors' client base. in that area i think we have more than achieved our objectives." bearing all that in mind, does herety have a master plan for the months ahead? "there's always a plan. this year it will be made up, as always, with specific goals race-wise for each of the riders. the ultimate is to make sure we make it as easy as possible for sponsors to decide to continue supporting the team in the future." "however, 2012 is too early to call. we have learned that a year is a long time in cycling; but all things being equal we would like to continue the involvement." and all things being equal, with progress and upward mobility being often the watchwords of any modern business, does rapha boss simon mottram have any plans to move the team up the uci ladder, so to speak? "no. not at the moment. it's incredibly expensive just to run a uci continental team (as now), never mind continental pro or above. we would have to bring in a number of larger sponsors to do that and it would naturally dilute the rapha and condor brands' impact. i'm happy that we have a smaller team, that we are intimately involved with today, rather than just supplying kit to a pro tour team. but we love the sport. that's why rapha exists in the first place, so never say never. "would i like rapha to be involved at the highest level of the sport one day? of course. it would be a dream come true." supporters and aficionados of the rapha condor sharp team can, of course, support the team in ways other than standing behind the barriers at the tour series races, or at the roadside during the premier calendar races and the tour of britain. rapha condor operate a national/international club which financially supports the team with any excess funds remaining after membership costs have been accommodated. 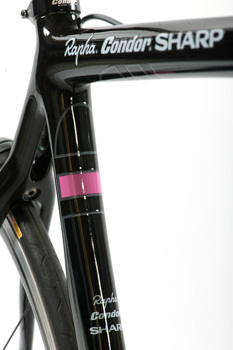 details of the club can be found on the rapha condor sharp website. there remains, however, one question that has hung in the air since the middle of last season, one that could have an all too tangible pressure on the management of the team. did john herety ever get a merino tank top? "ha ha, yes i did, but can you believe it came through blue! on top of that i've decided to get back in shape a bit and managed to lose a bit of timber. it's too big for me now. i think i might go down the trend of the football managers this year, and get them to make me a team scarf to wear in some jaunty way." i would like to sincerely thank simon mottram, paul molyneux, claire beaumont, john herety and kristian house for their assistance in the composition of this article.